EU Imposes Retaliatory Tariffs on the U.S. 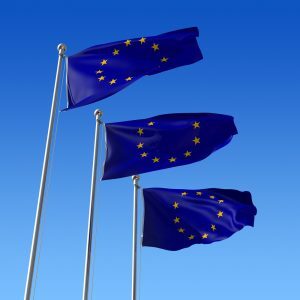 The European Union’s (EU) response to Trump’s steel and aluminum tariffs take effect Friday, June 22, 2018. The EU will be charging import duties of 25 percent on a range of U.S. goods. Reuters reports that the European Commission formally adopted a law putting in place the duties on 2.8 billion euros, or $3.2 billion, worth of U.S. goods, including steel and aluminum products, farm produce such as sweetcorn and peanuts, bourbon, jeans and motorcycles. President Trump ended an exemption from the tariffs for the EU, along with Canada and Mexico, earlier this month. Canada will impose tariffs on $12.5 billion of U.S. goods, while Mexico has already implemented tariffs on U.S. products, including steel, pork and bourbon.